At Dot Dot Dot we love perfecting the art of the classic cocktail. We blend our own sweet vermouth in-house, for example, and make our own house-infused black walnut gin for our Black Walnut Negronis. We always select the best whiskies, even down to buying single barrels so we control exactly what you will enjoy. Here are three of our favorite classic winter weather cocktails, along with recipes and a few suggestions for which dishes from the Dot Dot Dot menu to pair with these classics. 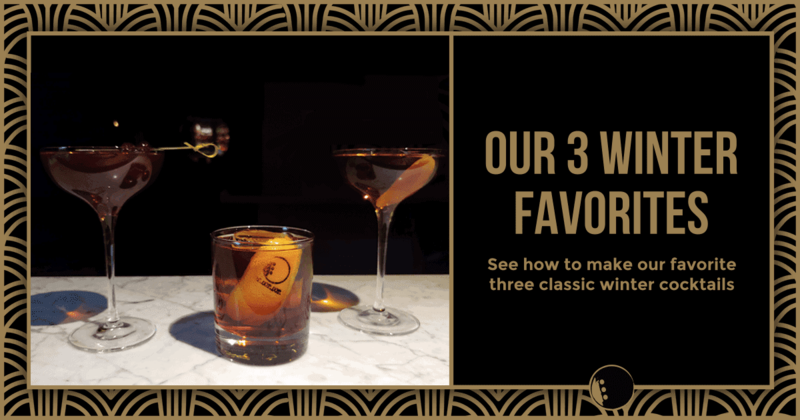 You'll notice the common binding ingredient in all three of these cocktails is our house-made sweet vermouth. We can’t recommend blending your own highly enough – it's so much better! Best when paired with the ricotta gnocchi and pork belly dishes from Dot Dot Dot's menu. Why? We all need a bit of cheer to ward off the “icy fang” of winter, and citrus brightens up both the day and the disposition. 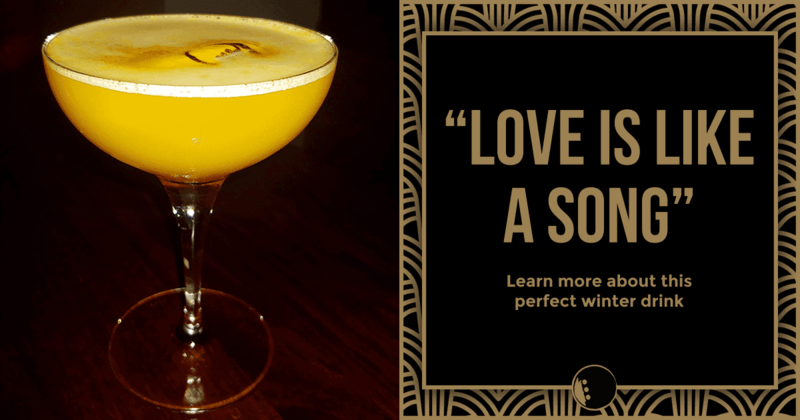 This cocktail has both sweet-tart tangerine and tart fresh lemon juice, plus the nutty warmth of hazelnut liqueur to give it enough complexity to hold up to heartier wintry entrees. Shake vigorously and pour into a large coup glass. Best when paired with the house-cured meat and cheese charcuterie, burrata or poke dishes from Dot Dot Dot's menu. Our new blog is almost ready to launch. 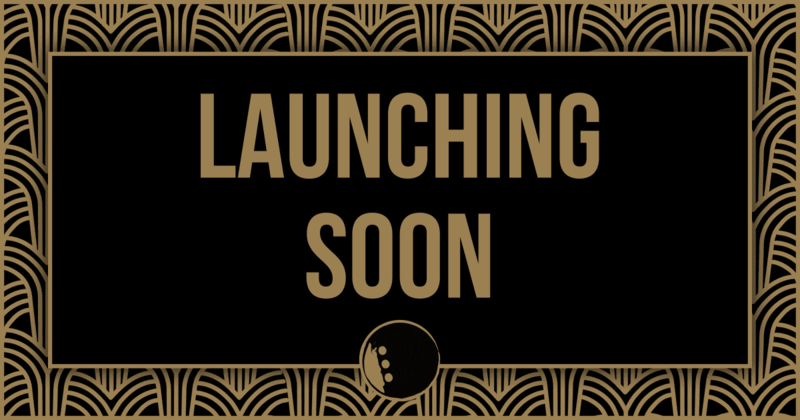 Check back soon to see recipes, upcoming events, and ... whisky! Strictly operate on a first come, first serve basis. We do not offer reservations. 2) Members, please observe these house rules. Share our dress code with your guests prior to arrival. 3) A valid driver’s license or ID is required for everyone who enters. 4) We strongly recommend completing your membership online prior to arrival. We can offer a limited membership at the door, but you may experience delays. 6) We take our dress code very seriously. See below. 7) When we’re full, we operate on an “every Member deserves a seat” basis – there’s no standing room at the bar. 8) Please use your inside voice. Our bar can get festively loud if everyone is having a good time. 9) Cocktails are hand-crafted, and we never take shortcuts. Your patience will be rewarded. 10) Instagram and Facebook are fine – our food and drinks are photogenic! A quick call from the babysitter is okay, too – but if you need to negotiate a treaty on your cell phone, please step outside. 11) At Dot Dot Dot we treat all guests equally regardless of race gender or sexual orientation. We’re all here to have fun so if something or someone is making you feel uncomfortable please tell our manager or one of our staff. *Dot Dot Dot is a private social club for members and guests 21 years of age and older and possesses all required North Carolina ABC Permits. Proper dress is required. Our Staff is here to answer any questions you have about the dress code and they have been directed to gently remind those who accidentally forget or are uninformed of the standards. Our Door Person is responsible for monitoring and enforcing this policy. Management reserves the right to define “appropriate” attire. We hope that the following guidelines will assist you in making your time spent at Dot Dot Dot as comfortable and pleasurable as possible. We recommend business or smart casual. When in doubt, wear something that you wouldn’t mind wearing on a first date. All members and guests should always be neat and wear appropriate attire while on premise. Flip-flops shall not be worn at any time. Men should not wear open toed shoes as this is not fitting of the business casual dress code. Ladies please wear open toed shoes in good taste. Casual sneakers are acceptable (fluorescent color running shoes are not. Please use your best judgment). Fashionable hats are acceptable (Ball Caps are not permitted. Anything with a team logo is not acceptable. Snapbacks and Fitted hats are not permitted). Please no Athletic gear or sleep wear (we are not a Cross Fit gym, Yoga Studio, or bedroom).